On some episodes, I end up talking about pretty much everything with my guests… This is one of those episodes. On this episode, I hang with the guys from Soundstripe, a unique music licensing company based out of Nashville. 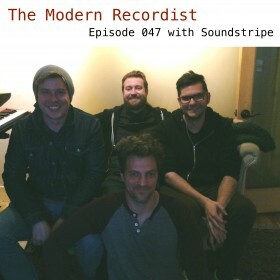 I talk with the two main guys behind the business end of Soundstripe – Micah and Travis – as well as Steven, a composer that contributes to the Soundstripe platform. We discuss all things creating music and beyond, including developing a discipline of writing, understanding that you don’t have to know it all to make awesome art, thoughts on how people really learn, shifting your career to a new focus when your current path is leaving you unfulfilled, and TONS more. 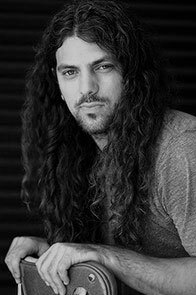 The Soundstripe guys don’t add new composers to their pool of talent very often… BUT if you’re interested in pursuing licensing opportunities for your music, it’s worth checking out Soundstripe and developing a relationship with these guys. Third – Share this podcast with a few friends. If you’ve gotten something out of this podcast, and know some friends who would also get something out of listening to this podcast, go ahead and drop a link in an email or text and tell them about it.